This article describes the procedure to get the age of the ticket, that is, time taken to close the ticket. This is the difference in two time values captured on the Ticket: “Created” date and the “Closed Date”. We can use SharePoint Calculated Column to get the difference between these two date values. 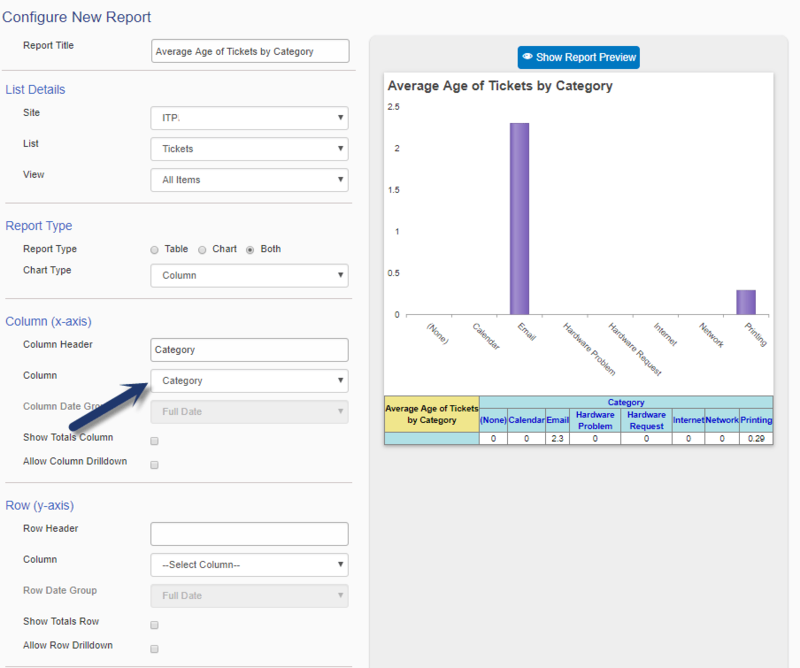 This calculated column can then be added to the required forms and views. We can also build reports based on this column. This calculated column will be populated with the time taken to close the ticket in days.